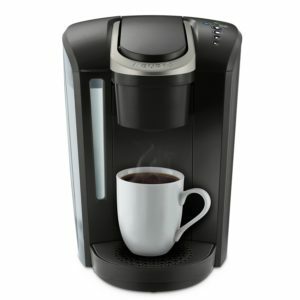 Keurig is offering customers the opportunity to purchase one of their best selling coffee brewers, the K-Select Single Serve Brewer, the offer available at www.trykeurig.com. Rarely do you see Keurig have a TV promotion on one of their products but coffee drinkers can take advantage of the Keurig commercial 2017 TV promotion which includes bonuses. There is a Keurig coffee maker payment plan for new customers which is a 4 month payment plan. They can opt to make 4 payments of $33.33 or if they visit the online website one of the payments will be dropped and they’ll be only making 3 payments of $33.33 per month. The offer comes with free shipping, a 30 day money back guarantee, and 1 year Worry Free Replacement warranty. According to the website the offer is not available in stores but you can visit Amazon and read customer reviews as well as compare the TV deal with Amazon.com. Visit www.trykeurig.com for more details about how you can take advantage of this special deal.